Sometimes we just don’t have a set of scales or a tape measure to hand when we need them. However this shouldn’t stop you from sending your parcel with DHL. We are here to help - take a look at our weight and size comparison guide below. We have taken everyday objects from around the house or office and given you the measurements to help you compare the sizes and weights against your parcel. 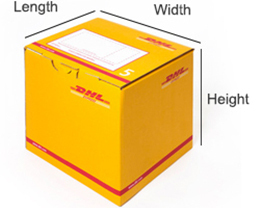 Alternatively, you can send your parcel via your local DHL Service Point where you don’t need to measure a thing! Parcel weight is rounded up to the nearest half kilo. 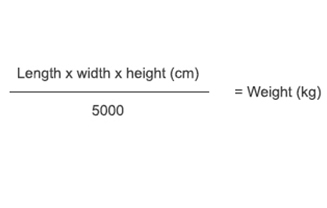 The greater of the two weights will be used for the parcel delivery cost. DON'T WANT TO MEASURE ANYTHING? Why not drop off your parcel at your local DHL Service Point?